It is no understatement that without the assistance and support of dozens of people around the world, this exhibition would not have been possible. The website was made possible by the tremendous vision and talent of the CMI2 team. Echoes wishes to thank especially Samuel Cohen and James Milam for their incredible work on the project. At the Peabody Museum of Natural History, the exhibit is indebted to many people. Throughout the planning stages of the exhibition, the exhibit enjoyed the constant support of Director Derek Briggs and Deputy Director Jane Pickering. We would like to thank exhibit designer Laura Friedman for her incredible vision and talent, and Sally Pallatto for the beautiful design work. Rosemary Volpe kindly proofread the various manuscripts and was instrumental in the production process. Senior collection manager Roger Colten and museum assistants Maureen DaRos and Rebekah DeAngelo provided continuous assistance with the anthropology collection at the Yale Peabody Museum. Michael Anderson, Walter Brenckle, Maishe Dickman, Rob Charlesworth, and John Ferro created the wonderful halfscale replica of the Grove Street Cemetery for the exhibition, as well as the often complex object mounts. Annette Van Aken, Sharon Rodriguez, and Bonnie Mahmoud were all instrumental in organizing the exhibition. Thanks to Catherine (Cap) Sease for her help with the conservation and installation of many of the pieces. We would like to thank Eliza Cleveland, Linda Warner, Sung Yun, and Melanie Brigockas for their enthusiasm in promoting our mission. We would like to thank Prof. Ronald Leprohon for proof-reading a draft of the catalog (some of which appears in the website text) and for making several helpful suggestions. Echoes of Egypt would not have been possible without generous donations from several institutions, corporations, and private individuals. 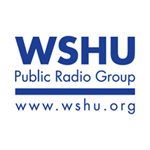 The Yale Peabody Museum is grateful to our Presenting Sponsor, Connecticut Humanities, and our Media Sponsor, WSHU Public Radio Group. We also wish to thank the 2011–2012 O. C. Marsh Fellows, the 2012-2013 O.C. Marsh Fellows, the AT&T Foundation, Jenefer and Frank Berall, Alison and John Flynn, Mr. and Mrs. Shafik Gabr, Jean and William Graustein, Renee and Robert Leary, and Webster Bank. Funding was also provided in part by a U.S. Department of Education Title VI National Resource Center grant to the Council on Middle East Studies at the MacMillan Center. The production and publication for the exhibit book were made possible through funding kindly provided by the William K. and Marilyn M. Simpson Egyptology Endowment at Yale University.